ECDPMGreat Insights magazineDo international trade rules prevent local content policies? Ramdoo, I. Do international trade rules prevent local content policies? GREAT Insights Magazine, Volume 5, Issue 6. December 2016/January 2017. Many resource-rich countries have not managed to diversify their economies. As a result, they remain vulnerable to commodity market shocks. 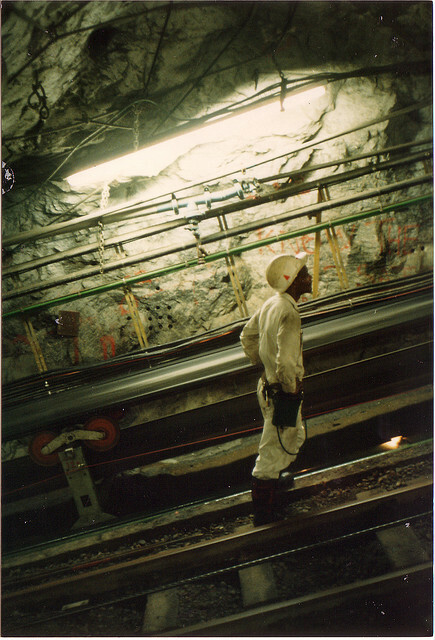 In an attempt to move away from commodity dependency, a number of resource-rich countries, developing and developed alike, have used various forms of industrial policies to foster and deepen economic linkages and to ensure that the maximum of benefits from production activities accrue to local economic actors. One such form is through pursuing local content policies (LCPs). But international trade rules and agreements partly limit their policy space to do so. 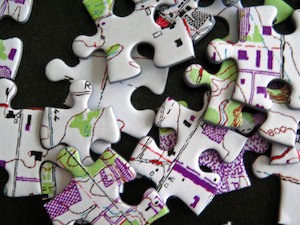 What types of local content policies to stimulate linkages? Local content policies (LCPs) seek to promote the supply of domestically produced goods and services and the employment of the local workforce. In the extractive sector companies are also required to conduct certain activities, such as technology transfer or research and development in the country where the extractive operations take place. Measures to stimulate the use of local content in the extractive sector can be grouped into three main categories. First, instruments are designed to encourage sourcing of local inputs, with a view to promote upstream linkages. These include compulsory mandatory or preference requirements to seek enhanced local procurement, employment of local workforce in the mining or petroleum industry, research and development or local ownership, pending strict penalties. These can take the form of procurement requirements, employment requirements, ownership requirements and spending requirements. Governments can also set specific timeframes for companies as well as reporting requirements. Second, measures can be put in place to stimulate downstream linkages, notably through local value addition or beneficiation. In this case, LCPs attempt to meet two main objectives, through (i) export-oriented strategies, to develop local manufacturing capabilities and add value to unprocessed minerals and (ii) import-substitution strategies, to respond to growing local demands for processed products. Market restriction instruments include domestic sales requirements; various forms of export restrictions; licensing requirements; trade-balancing measures; and domestic and international market reserve policies. Third, horizontal measures of general economic applications are implemented, but still focused on stimulating local industries. Examples include tariff or fiscal exemptions, financial incentives available only for local producers, subsidies or creation of industrial zones or clusters. But are they compatible with international trade rules? LCPs entail distortionary effects in favour of local actors, which may be considered as too discriminatory, in particular if done in an unbridled manner. LCPs may therefore contravene a number of trade and investment disciplines at the bilateral and multilateral levels, notably in free trade agreements (FTAs), bilateral investment treaties (BITs) and at the World Trade Organization (WTO). (i) Under National Treatment (Article III of GATT), countries are expected not to discriminate between ‘like products’ from local industries and imports. (ii) Article XI.1 of GATT completely proscribes the use of quantitative restrictions and regulates the use of non-automatic licensing systems. (iii) Activities of State Trading Enterprises are disciplined under Article XVII of GATT. (iv) The Trade-Related Investment Measures (TRIMs) Agreement prohibits the use of most forms of performance requirements on investment for goods, as provided by its ‘illustrative list’. However, developing countries are permitted to retain TRIMs to the extent that the measures are consistent with the specific derogations permitted under Article XVIII of the GATT 1994 by virtue of economic development needs. (i) The Agreement on Subsidies and Countervailing Measures (ASCM) prohibits two types of subsidies: (1) export subsidies, with an exception for least developed countries (LDCs) and low-income countries with a GNP per capita of less than US$1,000 and (2) subsidies granted to investors or industries contingent on the use of domestic products. Other forms of subsidies are not prohibited but are actionable and may be subject to disciplines if they have ‘adverse effects’ on international trade. (ii) The General Agreement on Trade in Services (GATS) regulates LCPs’ impact on foreign investment and employment of local and foreign staff. While the GATS provides clear indications on the types of measures that are allowed or not, local content policies are only regulated to the extent that countries have scheduled specific commitments. As a result, countries maintain significant margins of manoeuvre to design and implement LCPs in service sectors if they have not taken specific commitments. (iii) To respond to political pressures regarding discriminatory treatment in favour of local suppliers for government transacted businesses, such as tendering procedures for contracts above a certain financial threshold, some WTO members agreed to negotiate a plurilateral agreement on Government Procurement (GPA). The scope is limited only to its signatories. In addition to multilateral obligations, resource-rich countries have contractual obligations with their extractive companies and/or have signed up to BITs or FTAs. Those agreements, generally in favour of investors, have attempted to go beyond the scope provisions of the WTO, either by deepening the limitations or by adding new commitments that currently fall outside the scope of the WTO. These have further constrained the policy space of resource-rich countries to use LCPs. (i) Non-discrimination provisions: Countries can no longer provide incentives/subsidies or impose any preferences that would apply only to local investors, including state-owned enterprises. (ii) Fair and equitable treatment provisions (FET), aimed at protecting investors against serious instances of arbitrary, discriminatory or abusive conduct by host states. This is an ‘absolute standard of protection’. (iii) Measures to restrict performance requirements, in particular the establishment of joint ventures and minimum domestic participation; employment conditions including for foreign labour; location of headquarters in a specific location; procurement of goods and services; export conditions and transfer of technology, production processes, propriety knowledge and research and development. (iv) Specific measures relating to nationality of board members and senior management. Although their scope varies significantly, BITs have become investors’ preferred instruments as they are perceived to be more predictable and offer higher security for investors, including in terms of financial compensation in case of dispute. 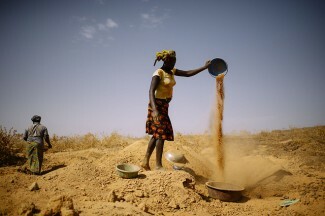 Of the 600 known dispute cases under BITs, it is estimated that 25% relate to the extractive sector. Investment chapters in FTAs also contain legal obligations that may affect the use of LCPs although their scope and coverage vary significantly. By including investment chapters in their FTAs, parties seek to go beyond the GATS provisions. A new generation of FTAs have more stringent disciplines to curtail the use of LCPs. For instance, in the latest rounds of FTAs negotiated by the EU and the US respectively, investment chapters have a place of choice, and disciplines include additional features. The recently concluded Trans-Pacific Partnership (TPP) contains an extensive list of prohibited performance requirements such as local content or technology localisation requirements. Interestingly, these restrictions apply to all investors and not only to nationals of the treaty parties, which implies that those countries agreed to eliminate certain forms of LCPs on a multilateral basis. Is there any policy space left? (i) Customs duties and charges: the GATT does not prohibit the use of tariffs but regulates the level of protection, by requiring countries to ‘bind’ their tariffs. There is no legally binding agreement that sets out the targets for tariff binding and consequently for reductions. Also, export taxes are not prohibited. Interestingly, few developing countries have used tariffs to stimulate local industries, perhaps because the increasing internationalisation of supply chains is dependent on market access, through low trade barriers, including tariffs. (ii) Provisions regarding services: the GATS provides the widest range of policy space for the use of LCPs for resource-rich countries, in particular for those who have not made specific commitments to grant market access and national treatment to service providers and natural persons. (iii) Subsidies: despite clear rules regarding the types of LCPs that are allowed or not, the ASCM provides certain flexibilities for developing countries, while distinguishing among three categories: LDCs; countries with a GNP per capita of less than US$1,000 per year; and other developing countries. Other forms of permitted subsidies include general subsidies such as financial incentives, credit finance, infrastructure financing; subsidies on services; sector-specific subsidies, although they are actionable; and government subsidies to support R&D and innovation. The main challenge is the capacity to use these flexibilities. Developing countries often lack necessary financial resources to provide substantive subsidies that can accompany nascent domestic industries long enough, to allow them to reach a critical size to thrive on their own. (iv) Another area loosely regulated by WTO agreements pertains to state-owned companies and exclusive service providers. This is particularly relevant for petroleum-rich countries, given the market and ownership structures that surround hydrocarbon production and related downstream activities. (v) LCPs, through government procurement are consistent with WTO rules, unless resource-rich countries are parties to the plurilateral Government Procurement Agreement. In this case, countries need to specify what commitments they are willing to take and the threshold value for procurements to be covered by the GPA. (vi) Special and differential treatment (SDT): there is an explicit recognition of the position of developing countries and their need for derogations from some trade measures, including the support of Infant Industries and remedying Balance of Payments problems. Besides, various Agreements contain clauses that allow developing countries to derogate from the rules, contained under (i) exception clauses for particular situations or that may be necessary for security reasons; and (ii) SDT provisions, found in all agreements, applying to developing countries and LDCs. (i) Horizontal or non-specific measures, to entice companies to deploy efforts to source locally or to employ the local workforce. (ii) Institutional frameworks in partnership with the private sector, such as the development of suppliers’ programmes, to accompany local suppliers in meeting requirements of extractive companies, accessing mining procurement, and sustaining supply on a long-term basis. (iii) Further, LCPs are not an end in themselves and hence to be integrated in countries’ national development plans or industrial policies. 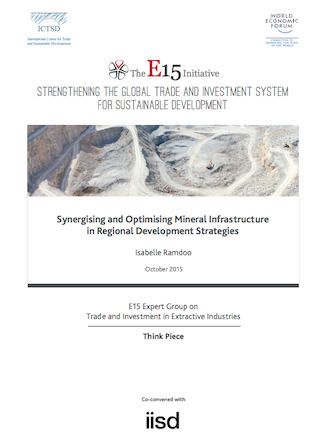 Countries have not succeeded because measures were done to meet expectations regarding insufficient contribution of the extractive sector to the economy, without having regards to the overall role the extractive industry should play in the industrial development of a country. (iv) Finally, a regional approach to LCPs is essential to the success of the policies. Many national LCPs contradict the objectives of regional integration, because by design, they only focus on national interests. This can potentially jeopardise regional integration efforts. A coherent and coordinated effort is needed, not only to preserve the regional integration agenda but also to tap market opportunities from neighbouring countries and make use of their comparative advantage to complement national efforts. This article summarises some of the insights from Ramdoo, I. (2016), Local content, trade and investment: Is there policy space left for linkages development in resource-rich countries? ECDPM Discussion Paper 205. The study was conducted by Isabelle Ramdoo when she a Deputy Head of Economic Transformation and Trade Programme at ECDPM. 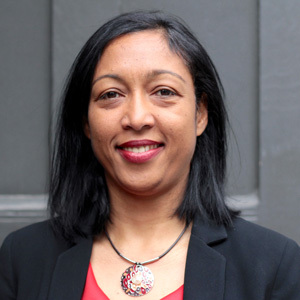 Isabelle Ramdoo is a Senior Investment and Linkages Advisor at the African Minerals Development Centre. 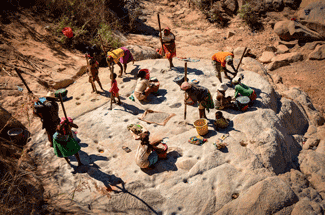 Photo: Gold miners, Madagascar. Credits: Rod Waddington, via Flickr.com.